The Ring Video Doorbell 2 has been released as a new and improved version of the very popular Ring Doorbell. This new version brings with it some new enhancements. Ring has been working hard to add new products to their ‘Ring of Security’ offering. This new model is an incremental update that users will be appreciate with the same street price as the original Ring Doorbell. The original Ring Doorbell had to be removed from the door for charging unless it was wired to the original doorbell power. The Ring Doorbell 2 has a battery that can be popped off without removing the entire doorbell for easy charging. Get a spare and swap them as needed. As with the previous model, users can check out live on-demand video any time they like, or wait until they receive an alert based on either motion detection, or when someone presses the doorbell button. Watch who’s at the door any time and optionally have a two way conversation with the visitor… or have something to say to an intruder who doesn’t belong! The cloud service makes it easy to set up with no port forwarding or network set up required. Live viewing is free with no monthly or set-up fees. The optional cloud recording (paid) service will automatically save video clips of visitors for later viewing or to give to the authorities. Built-in night vision ensures a decent view of the immediate area even in pitch black at night. 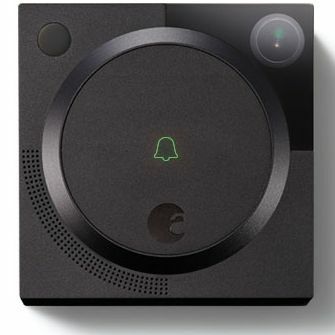 The Ring Doorbell 2 can run on batteries, or connected to 16-24VAC power. Free apps are available for iOs and Android users.